Plex Systems Names Robin Saitz Chief Marketing Officer - Plexus Systems , Inc.
Press Release from Plexus Systems , Inc. TROY, Mich., Feb. 5, 2019 /PRNewswire/ -- Plex Systems, the leader in cloud ERP and MES for manufacturing, today announced it has appointed Robin Saitz as its Chief Marketing Officer. In this role, Saitz will be responsible for spearheading marketing strategy and execution for Plex as it continues to grow globally. "We are thrilled to welcome Robin to the team and to benefit from her deep experience marketing global technology brands," said Bill Berutti, Plex Systems CEO. "Her manufacturing background and passion for making leading businesses successful uniquely allows Robin to understand the needs of the market. She is the ideal fit for Plex's ongoing growth and success." "Plex is on the leading edge of manufacturing innovation," said Saitz. "By providing mission critical systems in the cloud to hundreds of manufacturers around the world, Plex is well-positioned to take advantage of the explosive growth delivered through Industry 4.0 and the Industrial Internet of Things. It's an exciting time to join the team." Saitz's leadership experience extends beyond her roles at business technology companies. 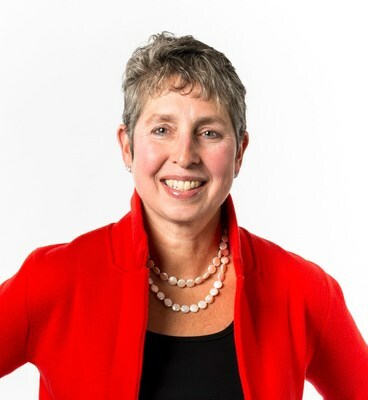 Saitz was the executive sponsor for PTC's strategic partnership with FIRST®, has received an Alumni Award for Science and Innovation for her work in Newton Public Schools and was recognized as a 100 Women Leaders in STEM by STEMconnector. She has also served as a frequent guest lecturer at the Tufts University Gordon Institute's Entrepreneurship Center. "Robin is an accomplished business-to-business technology leader who understands the manufacturing community from end to end," said Petri Oksanen, partner at Francisco Partners and Plex Systems lead board director. "Her experience makes her a great fit for Plex and for the entire Plex ecosystem. She will be a true catalyst for future growth."